Smartphone application is available for iPhone and Android on App Store or Google Play Store. You can use ProPTT2 services like 1:1/Group/1:N video Push-To-Talk, voice Push-To-Talk, Instant Messaging, and so on. communicate by video Push-To-Talk with others. 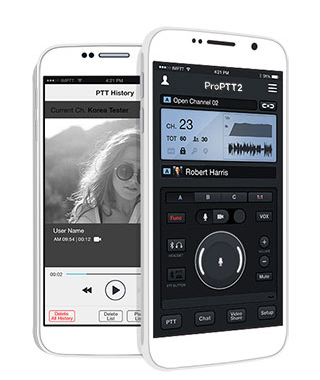 ProPTT2 App service offers video-based IP-PTT service through the ProPTT2 Application.